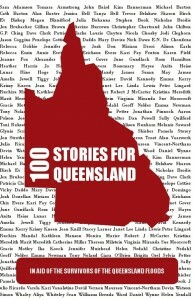 I’m not quite sure how I’ve left it so long to announce that THE PAPERBACK OF 100 STORIES FOR QUEENSLAND IS OUT! The paperback is available from Amazon for £9.99, or you can order it from Waterstones (although strangely, not online there yet – they are only listing marketplace copies). The ebook is available from here for A$4.99. Just in case it escaped your attention, one of those 100 stories is mine – Pop. 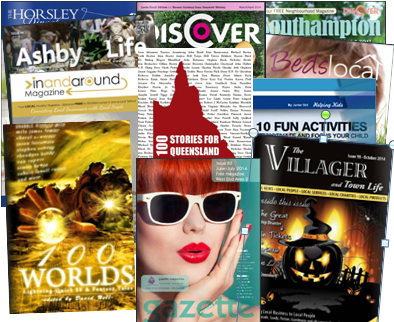 But far more importantly, all the profits go to the Queensland Premier’s Disaster Relief Appeal. Grim stories were banned, and although I haven’t had the time to read them all myself yet, I can tell you that, like me, fellow writers Sally Quilford, Simon Whaley and Catherine Miller contributed light-hearted tales. So if you need a smile over your cup of coffee, this will be just your…er…cup of tea. And now on to plug another good cause and the work of a friend – not writing this time, but photography. The very gorgeous book Quoted Moments is out now, with beautiful photography and inspiring quotes that help you appreciate the important things in life. 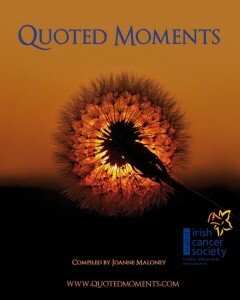 All profits go to the Irish Cancer Society, and you can buy a copy here for just €15+ p&p, or from stockists in Ireland. One of the contributors is talented prize-winning photographer Val Robus. I’ve still not heard if my contribution to the New Sun Rising anthology has passed muster – I do know that the publishers have had enough subs to fill four books, so competition is tough! More on that (whether I’m in it or not!) when I hear firmer details.